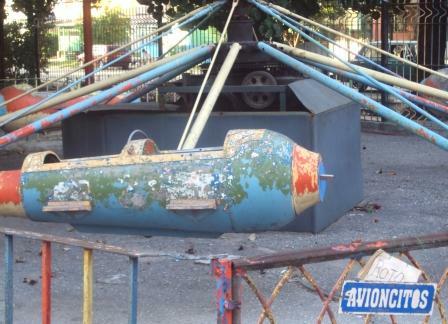 Before the Revolution, there were many amusement parks in Havana. 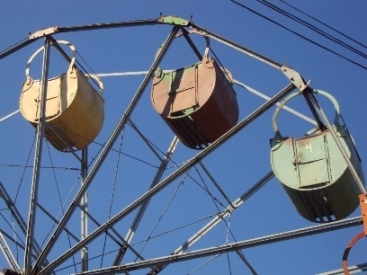 There was one famous park with rides that could be taken down and reassembled in different neighborhoods. This was because of the unique ferris wheel with cars in the shape of padlocks. The park had an elliptical train circuit that surrounded most of the park. It was a perfect scale replica of a passenger train, the locomotive being an exact copy of the Santa Fe diesel locomotive in America. There were big swing boats for adults and many other exciting rides. There was a large pool with a carousel of four real boats sailing around. 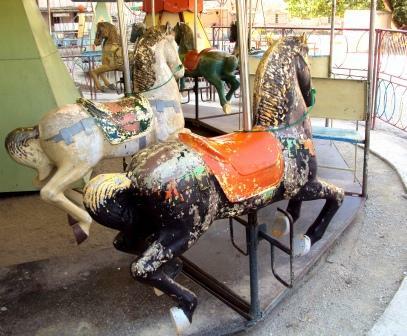 Today, you can find the remnants of this nomadic playland in Monaco’s Parque Infantil (see the video above). It was relocated to this permanent home around 1960. It was in the suburb of Playa and was extremely popular with children. 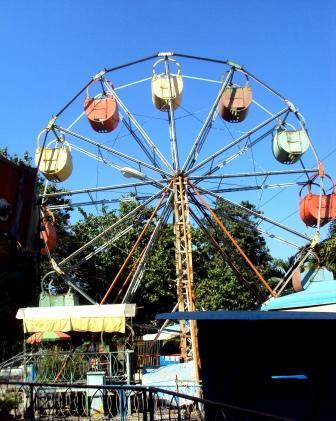 It has since rusted and the rides were taken away, to be replaced by a few cheap Chinese imitations that draw few people.